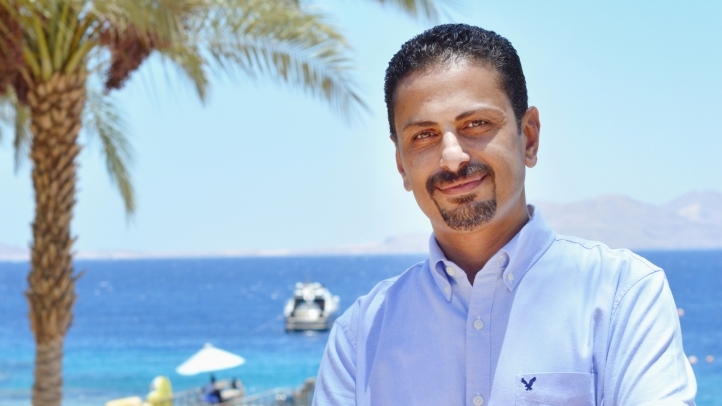 Sharm El Sheikh, Egypt, 2017-Jul-13 — /Travel PR News/ — Four Seasons Resort Sharm El Sheikh announces that Four Seasons veteran Waleed Sobhy has been promoted as the new Resort Manager at the Red Sea world-class diving resort. Sobhy’s remarkable leadership, his extensive experience and particularly his strong background in the food and beverage division have been and continue to be great assets to the Resort. Sobhy’s hospitality career started 26 years ago forging an exciting path across different hotel chains including Oberoi, Starwood and Conrad. His Four Seasons tenure began at Four Seasons Hotel Cairo at Nile Plaza, where he worked his way up the ladder through a variety of management positions in the food and beverage division, reaching Director of Banquet, and finally Assistant Director of Food and Beverage. In 2011, he decided to venture across the Nile River to join Four Seasons Hotel Cairo at The First Residence as Director of Food and Beverage for the first time, and later joined Four Seasons Resort Sharm El Sheikh in 2015 in the same role. During his time in Sharm El Sheikh, Sobhy has also earned another educational certificate in Financial Management from Cornell University in 2017. As a meticulously designed Resort with an astounding location over the Red Sea, Four Seasons Resort Sharm El Sheikh is a traveller haven of excellence in service, pure luxury and rejuvenating views, where an incomparable guest experience is held at the highest regard. In his role as Resort Manager, Sobhy will make sure that this beacon of simultaneous elegance and adventure remains a bucket-list destination, and push its frontiers even further to ensure that each and every guest has an exceptional experience during their stay. When he’s not busy ensuring his guests receive the most memorable experience, Sobhy loves to travel and spend time with his wife Azza and their three wonderful children, Heidi, Rawan and Ahmed. The team at Four Seasons Resort Sharm El Sheikh is thrilled to congratulate Waleed Sobhy on his new role. This entry was posted in Business, Hotels, Resorts, Travel, Travel Management, Travelers and tagged El Sheikh, Four Seasons Resort Sharm, Resort Manager, Waleed Sobhy. Bookmark the permalink.